Compact SUVs are undeniably useful; they combine masses of kid-carrying capabilities with much-needed urban maneuverability. 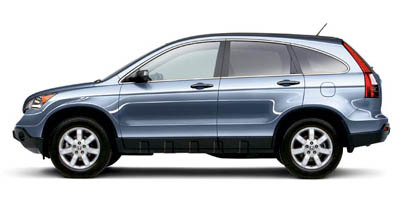 Seamlessly integrating the many facets of this class is the 2008 Honda CR-V. The well-rounded SUV is so dedicated to its “compactâ€ moniker that it is one of the few cars on the road today that was actually shortened by three inches during its most recent update in 2007. It is the same length as it was when first released in 1997 and has kept the original’s spacious interior dimensions while creating five more cubic-feet in cargo space. Dramatic changes have also taken place in the much improved ride quality, newly rounded exterior design and additional horsepower and torque. These improvements ensure the CR-V remains competitive in a tight field of small SUVs that caters to fuel-economy conscious buyers who also need to haul everything from backpacks to bags of cement. Safety is assured with five-star crash ratings and Honda’s well-known reliability. Its $20,700 starting price is on target with the compact SUV class and undercuts rivals like the Saturn VUE and Toyota RAV4. No V-6 option is available, making the slightly underpowered four-cylinder a consumer’s only choice. The touch screen navigation system is outdated compared to competitors; its finicky audio interface is distracting and overly complicated. Enthusiasts will lament the four-cylinder’s power drop-off after the initial thrust when the car noticeably flatlines the harder you push the throttle. Everyone else, however, will have no problem with what the CR-V has to offer. The suspension is a little rough for a car that won’t be veering away from asphalt-paved roads regularly, but the cushy seats seem to absorb any bumpy irregularities along the drive. Wind skirts gently over the optional moonroof with hardly a sound even at highway speeds, but road noise can sometimes be unnecessarily loud. For a 3,389 to 3,549-pound SUV, the CR-V is capable and agile, with handling far more acute than you need for this type of vehicle. In fact, it drives more like a large sedan than an SUV. For this generation, Honda has drawn out an extra couple of horsepower and more torque from the 2.4-liter four-cylinder engine, which now produces 166 horsepower and 161 lb-ft of torque. That may be competitive versus other four-cylinders in the class, but falls short when matched up to the V-6 options available from a variety of manufacturers. 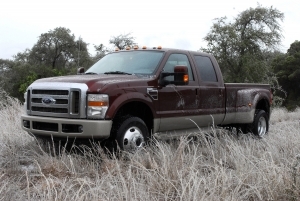 Its 5-speed automatic transmission can power either the front wheels or all four wheels. Four-wheel drive is available on every trim. The CR-V may be small, but Honda hasn't skimped on the safety features. With front, side and curtain airbags for driver and passenger, anti-lock brakes, stability assist and traction control, it must not surprise you that this SUV has a five-star crash rating. Standard on all trims is air conditioning, power windows, doors and locks, cruise control, a tilting and telescoping steering wheel, MP3/Auxiliary jack and two 12-volt power outlets. Not bad for a car just breaching the $20K mark. Techie features have been kept to a minimum on the LX base model in order to keep that low price within reach. Spend a little more and you'll be treated to a navigation system with integrated audio controls and a touch screen. While it may not be the best we've seen, you'll have no problem pulling up a route from A to B. The CR-V enjoys a ULEV-II emissions rating, while returning 20 mpg city and 27 mpg highway with its two-wheel drive and 26 mpg highway when powering all four wheels, These numbers match the segment average and make the CR-V a great option for those in urban areas who need more than a sedan but want decent gas mileage. Storage seems to be the name of the CR-V's game. A shelf in the rear cargo space provides a more versatile, and certainly more organized, storage area. Double glove boxes also keep your personal items within reach. The rear bench seats recline individually and fold down, then forward, to give you 72.9 cubic feet of space. We'd be remiss if we didn't mention the eight (!) cup holders as well. The design of the CR-V was drastically revamped in 2007. A rounded exterior replaced the previous model's boxier frame. From the B-pillar and back, the roofline slopes downward, meeting the elongated rear lights at the top of the tailgate. The front-end has a pinched look; too many textures and shapes create uncertain lines and leave us wanting a more elegant nose. This compact SUV is priced at $20,700 for the LX, $22,950 for the EX and $25,500 for the luxuriously appointed EX-L. Options, including four-wheel drive, will bump the price up, though not as quickly as quite a few of cars in the segment. The Nissan Rogue, Saturn VUE, Toyota RAV4, Kia Sportage and Mazda CX-7 are all equally interesting cross-shops in this class, adding a little more or a little less with regards to power, functionality and optional features. The CR-V is a great bargain for those not willing to sacrifice all-wheel drive or flexible cargo space, but also need a car that’s light on the fuel-consumption and easy to park. Options suited for a wide range of consumers and an easy ride make it evident as to why so many people have already proclaimed the CR-V their ideal car, proving bigger isn’t necessarily better.